1. A basketball player whose combined field goal percentage, three-point field goal percentage, and free throw percentage for an entire season total 180. Becoming a 180 Shooter at any level is an exceptional accomplishment. In NBA history, 13 players accomplished the feat, and 7 players joined the more exclusive 50-40-90 club. Steve Nash currently leads the way with the most 50-40-90 and 180 Shooter seasons, and Stephen Curry became the first player to lead the NBA in scoring with a 50-40-90 season during the 2015-16 season. How does one become a 180 Shooter? In a word, practice. There are many factors that contribute to successful shooting, and the content throughout this site and in the book 180 Shooter: 5 Steps to Shooting 90% from the Free Throw Line, 50% from the Field and 40% from the 3-Point Line outline and explain many of the factors, from coordination to technique to practice design to mentality. 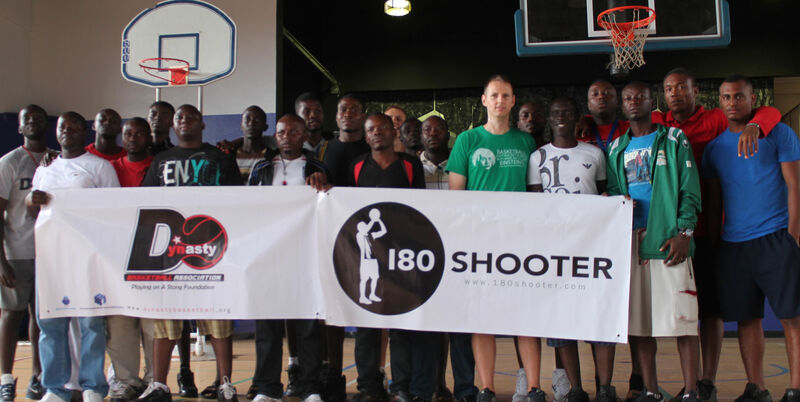 The 180 Shooter app is designed to assist with two primary factors of shooting performance: Practice and shot selection. Improving one’s shooting technique through practice and taking better shots during games will improve shooting performance. The app is based on the analog work of basketball coach Brian McCormick, which was made into an online program in 2010 and now into an app. The app, from the drills to the shot charting, is based on working with several players who developed into 180 Shooters at the college level and European professional level and who set NCAA shooting records during their four years in college. In the old days, coaches kept shot charts on paper and cumulating the data was laborious; players kept journals with practice results, but it was difficult to measure improvement with notebooks full of numbers and different drills. The app takes care of the labor. Enter data during games or after practices and sort through data based on court location, direction of movement, pre-shot behavior (pass or dribble), and more. Learn about your habits, and use your practices to inform your shot selection, and your game shooting performance to inform your practice. Use technology to improve your shooting and move you toward becoming a 180 Shooter.